We are a friendly, trustworthy, family-run business based in Tipton, in the heart of the Black Country in the West Midlands. Established in 2006, we are specialists in road haulage – offering a fast, reliable, and expert service collecting and delivering goods. Thanks to our excellent, central location close to the M6, M42 and M54, our highly-trained drivers are able to get out on the road swiftly. 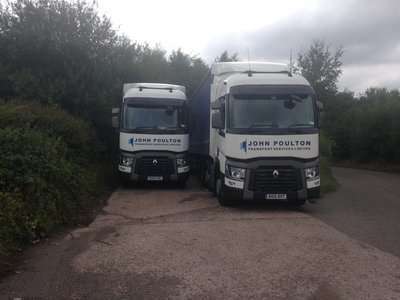 Alongside the road haulage arm of John Poulton Transport, we also provide driver CPC training at our registered CPC centre, as well as a variety of other services. Please feel free to get in touch with us to find out more about the services we can offer you. Being based in the West Midlands places us at the prime location for collection or delivery of goods across the country. 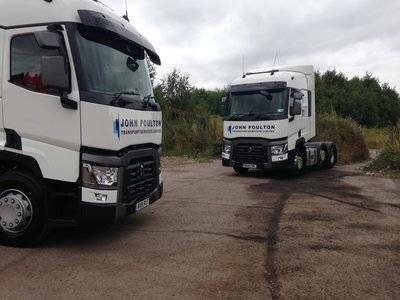 At John Poulton Transport, we can help you to get your professional driving qualification for driving a road haulage vehicle such as a HGV. I have been using John Poulton Transport for around five years now and I have always been more than happy with the service provided. Friendly staff and a professional attitude every time I speak to them, I would recommend. 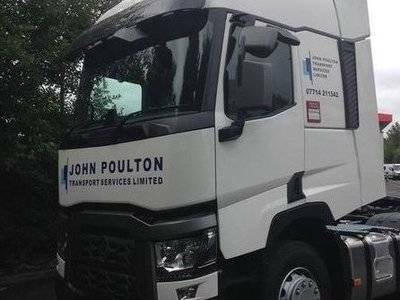 We recently used John Poulton Transport for our driver CPC training for our own firm and the training was exemplary from the start through to the finish. My company and I are very happy with John and the team for all their help and hard work. Get in touch with us today to see how we can help with your road haulage or driver training requirements.